Owning a home is one of the biggest investments you’ll ever make. 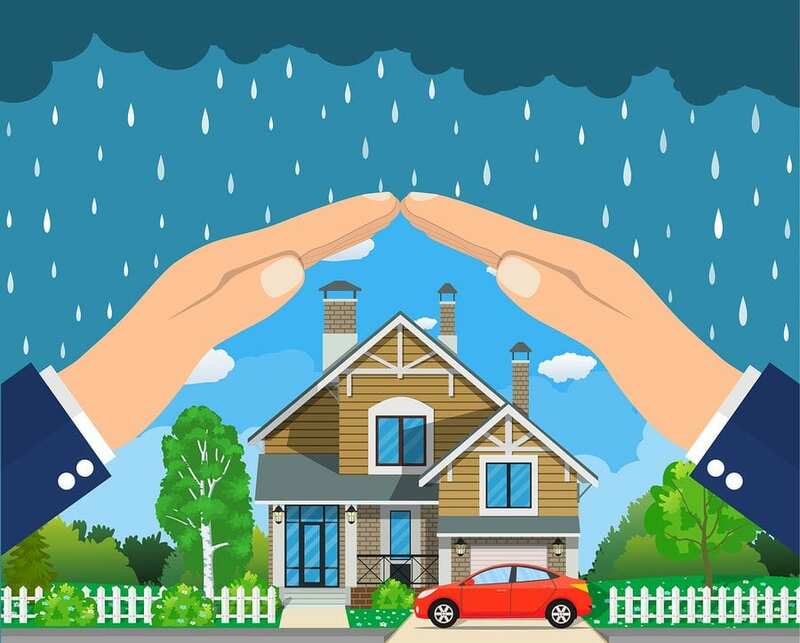 Should disaster strike – whether in the form of a dramatic flood or fire, or simply a burst water pipe – you’ll want to know your investment is protected. That’s where home insurance can come to the rescue, so long as you have the right home insurance cover. The first thing to understand is that ‘home insurance’ really covers two kinds of cover: building insurance and contents insurance. When you insure your home contents, you’re protecting things like your TV and your furniture; that’s why renters still get contents insurance. Building cover, on the other hand, insures the actual structure that you live in, making it incredibly important if you own your own home. For both building and contents insurance, you’ll need to give your insurer a sum total of what your property is worth. Most insurance policies simply cover you for claims up to and including this amount you’ve nominated. There are two other ways it can work, however. Safety net policies will pay out additional amounts up to around 30% above the sum provided. Rare (and more costly) total replacement policies offer genuinely total coverage of all costs involved in replacing, repairing, or rebuilding your property. Particularly when it comes to insuring your house itself, it’s worth having at least some kind of safety net built into your insurance. If your home really takes a hit this will help you deal with additional costs like demolition fees, architects fees, council charges, temporary accommodation and so on. It’s very important not to undervalue your property and end up with inadequate insurance. For your contents insurance, you’ll need to take quite a while going through your home, room by room, and estimating or finding the cost to replace every single item. And we mean everything: old CDs, cutlery, bed linen, shoes – everything! When insuring your house, remember you are not estimating its market value, but how much it would cost to rebuild. That means you need to take into account factors ranging from the slope of your land to the style of the building, to costs for removal of debris, design, and having a place to stay during the build. If you live in areas that are prone to disasters such as bushfires or severe flooding, you should definitely consider forking out for total replacement cover. In times of widespread disaster, increased demand will push costs way up. If that happens, it’s almost impossible to anticipate what building services or temporary accommodation will actually end up costing. When it comes to what any given insurance policy will and won’t cover, don’t try to rely on common sense. This is not the realm of common sense, but the realm of the dotted line – once you’ve signed on it, you’ve legally accepted whatever your insurance company defines as something they should cover and what they define as not their problem. Because of this, ensure you read all the fine print and ask all the questions. As an example of how idiosyncratic insurance cover can be, take water damage. When it comes to floods, Australian insurers have a near-universal policy of mandatory coverage. In some areas you may be able to opt-out, at your insurer’s discretion, but generally you will be covered for floods even if you live in a dustbowl. When it comes to the ocean, though, things are a little different. The vast majority of insurers won’t cover events arising from the “actions of the sea”, whether out of deference to the ancient gods of the realm or something more mundane. This means one of the downsides to living close to the ocean is that, should the watery abyss reach out and destroy your home, most insurers will consider it a private issue between you and the sea. If you need assistance with anything listed here in this article – or anything else for that matter – feel free to discuss your needs by contacting Kaboodle Finance today!